Trussing grids and frames for blackouts, green and blue screens. 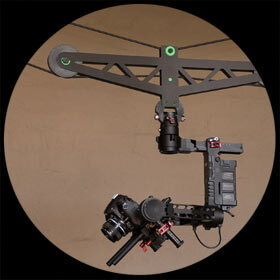 Flying systems for Actors, Performers or Camera, Lifting systems, both heavy and light loads. Assisting special effects, lighting, gripping or art departments. Setting up of Safe Access solutions by means of decking or safety lines. At Film Riggers we pride ourselves in Safety, Efficiency and Professionalism. Prolyte Truss H30V Box Trussing made and supplied by Prolyte. 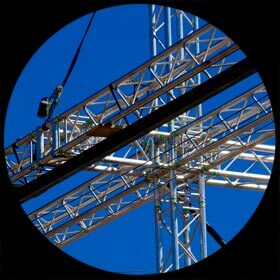 All Prolyte Structures trusses are designed and manufactured according to a strict philosophy that emphasizes simplicity, standardisation, ease-of-use, configuration flexibility and, last but not least, absolute safety. The MPT tower is based on H30V truss and employs a sleeve block that fits on to the truss. This allows for a square or U shape truss structure to be quickly assembled and lifted. 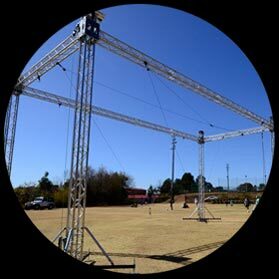 This structure can vary in size and can be used to suspend anything from performers to lights to props. It can also be used as a raising/lowering platform with the use of electric chain motors. 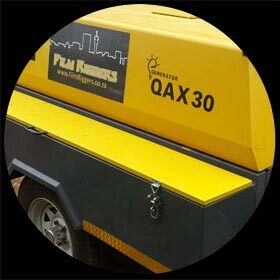 Mobile Atlas Copco QAX30 generator. This 30KVA, 24 KW, 400V portable generator is sturdy robust and reliable. With a maximum sound pressure level of 66 dB at 7m and 75% load. The Filmriggers cable cam uses the DJI Ronin, a 3 axis stabilising gimbal that can work with most cameras up to 7.25kg. From the DJI Ronin remote control unit the tilt, pan and roll of the camera can be managed. 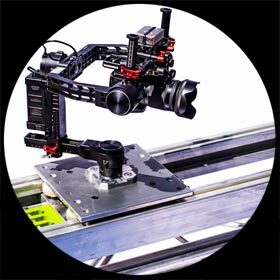 A two axis (front-back and up/down) camera flying system can be set up to cover a large distance in a straight line. Variable speed electric winches used for aerial and flying work. The winches run off 220V 15 amp and have a working limit of 120 KG. The winches can be used to fly artists, cameras, props, cameramen and dancers. 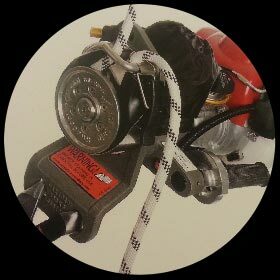 Heavier loads are easily lifted by adding pulley systems to gain mechanical advantage. 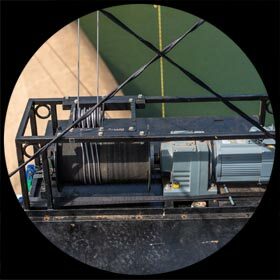 Half ton CM Lodestar electric chain motors are used for applications such as lifting and securing overhead truss systems, lighting arrays and speaker clusters. 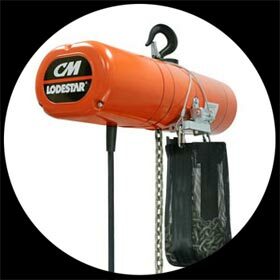 Taking centre stage is the CM Lodestar electric chain hoist which is recognized worldwide as the industry workhorse. 4 stroke petrol ascender. Easy to use variable speed petrol winch with a working limit of 250kg. Versatile and great for use in remote locations.